It was with great sadness that we heard on Thursday evening last, that a great and much loved Cornish patriot had lost his health battle and had died. Tony Piper. Former boat builder and policeman, it does not do him justice to mention just a few of contributions but he was prominent in so many Cornish organisations. 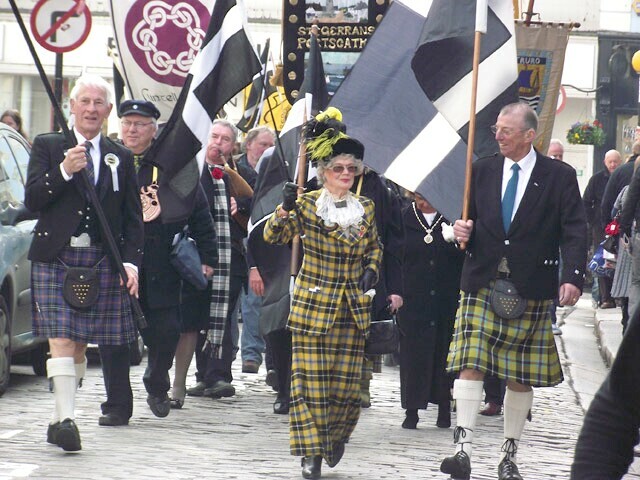 Cornish Solidarity, Chairman of the Cornish Branch of the International Celtic Congress, a Bard of Gorsedh Kernow, Bewnans Kernow, and proud Cornish tartan kilted banner bearer at so many St Piran’s day and other parades over the years. Cornwall24.net acknowledges the life of Tony Piper and sends condolences to family and friends – and we say, may you always be in Cornish hearts Pipes.